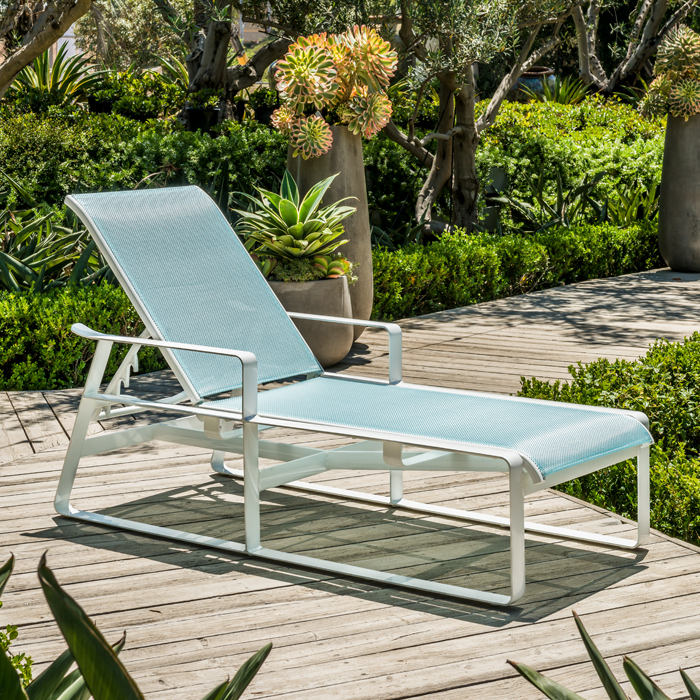 Samba sling elevates any outdoor dining area with pure lines and precise symmetry. This beautifully crafted Brian Mehler collection will inspire many festive dining experiences. It features durably tested sling fabric that flexes and offers continuous support. Samba Sling adds a sought-after sophisticated outdoor energy, transforming any area into a welcoming familiar setting. This collection easily accommodates both intimate or slightly larger gatherings.